Why have Medical Lash Treatment at Therapy House? There is now an exciting medical lash treatment option for anyone who has thinning eyelashes or would like them to look fuller, darker and longer. Applied to your upper lashes every night for 16 weeks, the lash enhancement product has been clinically proven and FDA-approved to create longer, fuller and beautiful eyelashes. It’s still not fully understood how the lash enhancement product stimulates eyelash growth, but it’s believed that it lengthens the active (anagen) growth phase of your eyelashes and increases the number of hairs that grow during this time. What is this lash enhancement treatment and how does it work? The lash enhancement treatment we offer was originally developed for glaucoma treatments because the active ingredient, bimatoprost, regulates the flow of fluid within the eye to maintain a normal pressure. Over time, clinicians observed that the people using the product were growing thicker and longer eyelashes, making it an ideal treatment for anyone with hypotrichosis, a lack of eyelash growth. It has now been approved by the FDA for cosmetic use to increase the length, thickness and darkness of lashes. How does the lash treatment work? If you are a suitable candidate for treatment, we will prescribe a lash treatment product that you apply to the base of your upper eyelids each evening at home. You will be given a treatment kit with full instructions about how to safely and effectively apply the product. As an overview, you should place one drop of the lash enhancement treatment on to a single-use application brush and apply it to the base of your upper eyelid lash margin. The same process is then repeated on your other eye using a fresh brush to avoid cross contamination. You should remove any make-up, clean your upper eyelids and remove your contact lenses before applying the product. After applying the product, any excess fluid should be blotted off with a tissue. How soon should I be able to see the results of my lash treatment? 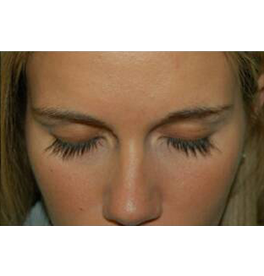 In clinical studies, the results of this lash treatment were evident after 16 weeks. You will need to continue to apply the product two to three times a week after the initial 16-week treatment period in order to maintain the results. The most common side effects after using the lash enhancement treatment solution are an itching sensation in the eyes and/or eye redness. Less common side effects reported in the clinical study, which typically occur on the skin close to where the solution is applied or in the eyes, include skin darkening, eye irritation, dryness of the eyes and redness of the eyelids. In the clinical study, 2.9% of patients using the lash enhancement solution experienced a temporary darkening of their eyelids that reversed when they stopped using the product. In rare cases, the product has darkened the pigmentation of the iris. If you have any concerns at all about changes to your vision or problems such as conjunctivitis, contact us immediately for advice. 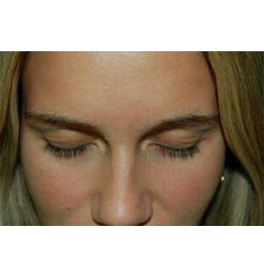 Want to know more about Medical Lash Treatment?